I'm so, so honoured to have my Letters to You matchbox art featured in the beautiful Collage Ideas Book by Alannah Moore (ILEX, 2018). This is the first time I'm featured in a book as a collage artist instead of a bookbinder (or poet, for that matter), and it feels wonderful! If I got my math right, there's work by 82 amazingly talented artists featured in this little book, and all are paired with words designed to awaken your own creativity. What I love about this book is that it isn't about recreating collages in the style of the artists featured - it's about widening your perspective and finding new and inspiring ways to create collage art! The Collage Ideas Book is so well written and thought out, it has something for even the more experienced collage artists, without being too complex for a beginner to grasp. It really is a joy, this book. And now you have a chance to win a copy! Yay! If you'd like to receive a copy of The Collage Ideas Book, leave a comment here, and/or on my Instagram, naming in your comment a collage artist worth getting to know. I'd love to learn about artists I'm not familiar with, but there's nothing wrong with recommending a big name collage artist either! I'd love for this book to go to a good home where it inspires someone who is actually interested in collage art, so, this isn't a tag a friend giveaway (unless your friend's an amazing collage artist! in which case, let me know you're not just tagging someone who might be into entering the giveaway! ), nor do you get in by simply leaving a comment saying you're in. You can leave one comment here and another one where you recommend another artist on Instagram to have your name in the raffle twice. You definitely get extra love for sharing the giveaway with your friends, but that's just extra love from me, not extra entries, sorry! 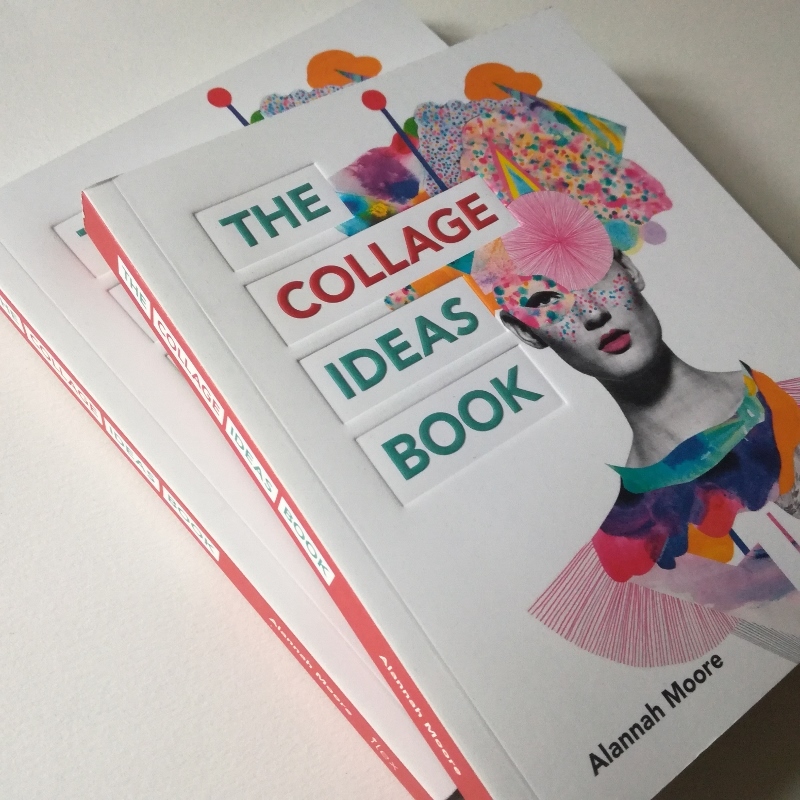 I'll randomly pick a winner on Thursday 28th June (around noon GMT+2) and let you know who gets the free copy of The Collage Ideas Book! Leave a comment recommending a collage artist worth getting to know. Naming one artist here and another on Instagram gets your name in the raffle twice. I will randomly pick a winner around noon on Thursday 28th June. The giveaway is open to everyone, wherever you live. Please make sure I have a way to contact you for your mailing address in case you win! The book I'm giving away was sent to me by ILEX. This giveaway is not connected to or supported by Instagram. In 2018 my mixed media projects have mainly taken the shape of artists' books (which is something I'm very pleased about), so, not many new pieces have found their way to the Paperiaarre shop. But, as I was going through my inventory, I just found these two vintage watch case necklaces that hadn't made it to the shop for one reason or another - so yes, there's some, sort of new, mixed media jewelry in the shop at last! More mixed media work coming in just a few days when I can finally share the artists' book I created for the June #areyoubookenough challenge! In the mean time, keep me (and everyone else!) inspired by recommending those collage artists as you enter in the giveaway! 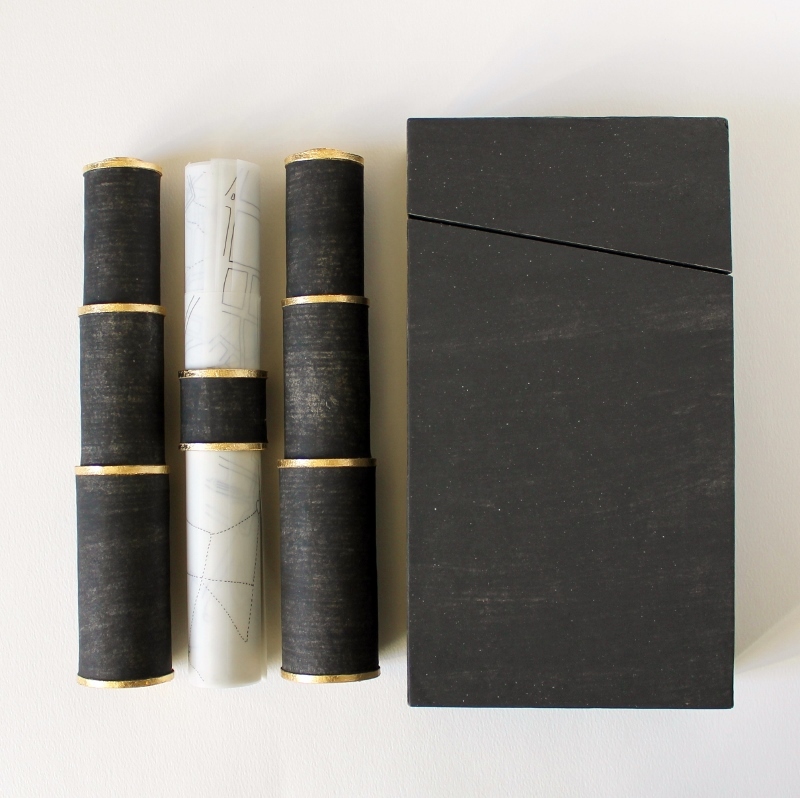 The May theme for the #areyoubookenough bookbinding community challenge is 'secret', and I decided I wouldn't take it too literally and pour my heart out, at least not too much. 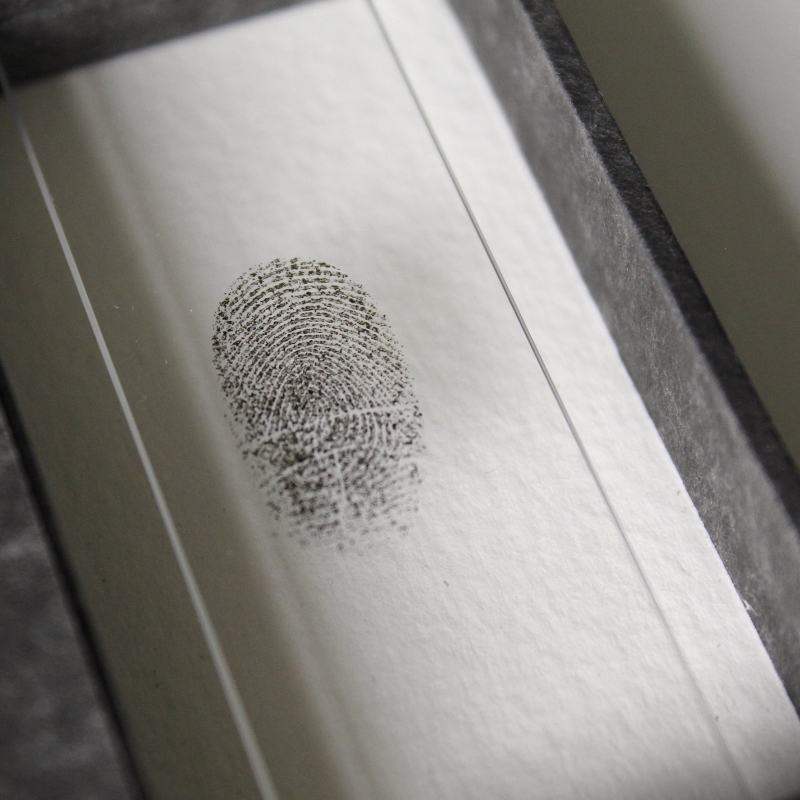 My artists' book Fingerprints was born after I went through a mental list of structures that hide and reveal in one way or another. I haven't made one of these magic boxes in almost 15 years, so it took me a moment to remember how it's constructed. I don't think I've ever known a particular name for this box structure, but it's basically a variation of Jacob's ladder. the box measures 14,9x9,5x1,9cm / 5.9"x3.7"x0.7"
Check out my Instagram for a view of the box in action! Quite fittingly the #areyoubookenough artists' book challenge had the same theme as my entire month of April. The theme was "poem" and I happened to make a book titled At last. This is the only physical book I've finished in April so far (I hope I can still fit a couple more into my schedule! ), but I did finish writing my own poetry book due out in August. From now on it's just tiny edits, if any. I had hoped to finish the poetry book last summer, but I'm glad the project took its time, as I'm very pleased with how everything turned out. This artists' book is the first one where I use my own photography as well as collaged cut-up poetry. The images are printed on 21 gsm Japanese paper, which I also used for hinges. The structure is basically a concertina, but as the pages are hinged with thin paper, the book can be manipulated into a variety of positions instead of it sticking to the rigid zig zag of a concertina. The pages were inspired by old slides, but I chose to print my imagery slightly translucent paper to keep the text more legible than it would be if I had chosen 12 gsm paper for example. 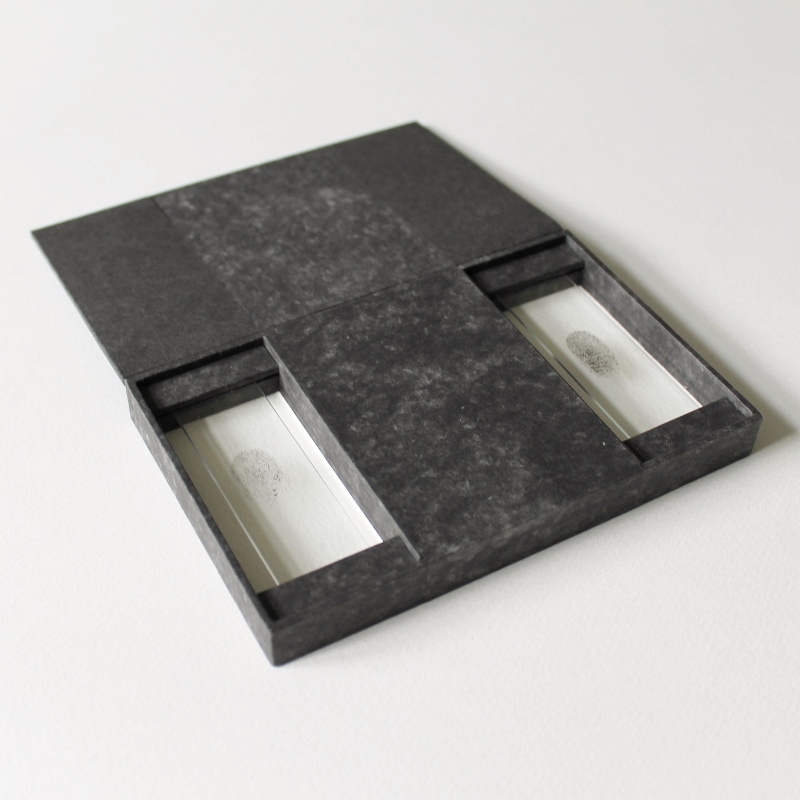 At last is an artists' book with a signed and numbered edition of six. The pages measure 6x6 cm / 2.4"x2.4", and the book measures 69,5 cm / 27.4" fully opened. The book will be available through the Paperiaarre shop. To see video and more photos of the book, please visit my instagram. There's something intriguing about maps and our tendency to map every possible thing. This month the #areyoubookenough artists' book challenge had the theme 'Mapped', which gave me the perfect opportunity to further delve into an idea I've had for almost ten years now. The starting point was that I wanted to draw a street map of a city based on my memory of those streets. And now I've got this artists' book called A City, from Memory. 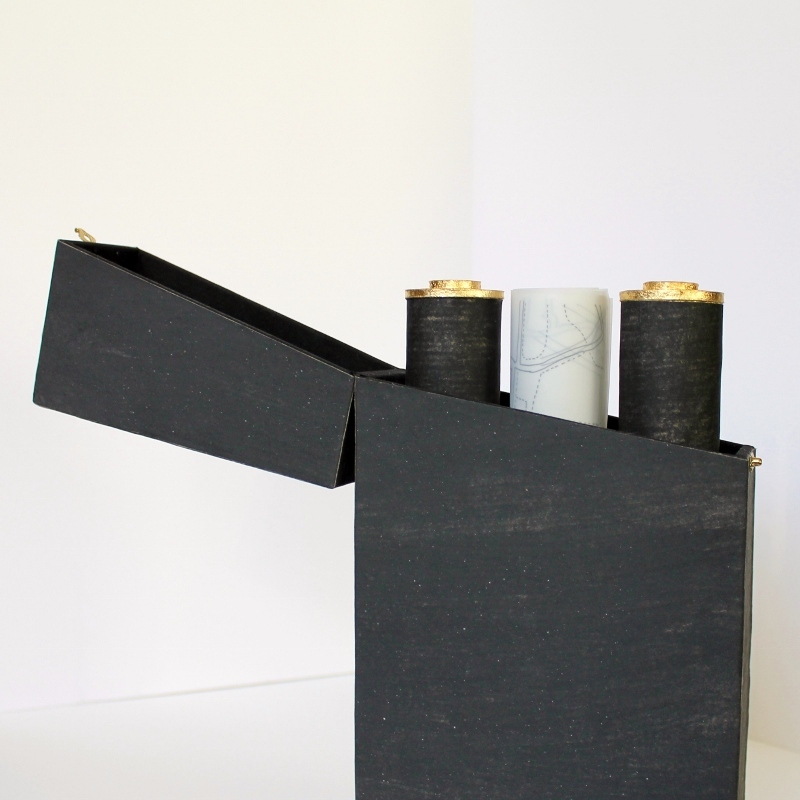 It has three parts housed in a latched case - a scroll of nine hand drawn maps and two kaleidoscopes. The city I chose for my memory maps is London. I've been to London over the past 11 years so many times I've actually lost count. It's a city I dearly love and where I feel at home, yet have currently absolutely no desire to live in. It's a city I love so much I've even made another artists' book about it before. The maps were drawn using a variety of maps in London tourist guide books with some overlap: sometimes the same place was drawn several times, and the result was never the same. With the first of the nine maps I only drew the streets I remember having walked - everything else was left out, even when I knew I must have walked a certain route to get from point A to point B. If I don't remember the street, the street does not excist on my map. Later on I found my memories changed, or I remembered more streets, and added those streets to the map I was working on, but let the earlier maps stay as they were. I find this to be the very nature of remembering; memories come and go, and I like how the differences in my memory maps reflect the fickleness of my mind. This method resulted in maps that in certain parts of the city were fairly complete, or at least look like they could be an accurate representation of a neighbourhood, but then there are lesser walked parts of the city were there's only a street here and there and they may not connect to one another at all because I have no recollection of the walk between. The kaleidoscopes worked their way into all this as I thought about the tools commonly used with maps, and how they relate to my approach to mapping out memories. I couldn't figure out a compass that would reflect how I remember, but a telescope turned into a kaleidoscope quite easily! A kaleidoscope shows mere fragments, multiplied. One of the kaleidoscopes I built is a traditional one, the kind that has colourful bits that form a series of different patterns forever changing as you turn the kaleidoscope. These fleeting colourful fragments describe my visual memories of London quite fittingly. The other kaleidoscope lets you view your actual surroundings in a new way - it's just mirrors that leave the majority of the world outside your field of vision and turn a fragment of your reality into surreality, which is something I feel is also a part of the process of remembering a thing over and over again. The memory can grow or transform with time as it bounces back and forth in your head, and you may even start to consciously question the reality of your memory. After all, it's not really the original experience we remember at any given time but the memory we have of remembering it the previous time we were reminiscing. How much of a memory is just hopeful thinking, our own decorations added on a remnant of a memory? And how much of our experiences we forget immediately after? How do we decide what we deem irrelevant right from the start? Some technical details of A City, from Memory: The largest of the nine maps measure 19x23cm / 7.5"x9.1". The case measures 13,5x24,5x5,3cm / 5.3"x9.6"x2.1". Materials: tracing film, handmade paper, gold metal leaf, cardboard, paper, acrylic mirror, acrylic, glass beads, book cloth, box latch. You can find more photos on Instagram. My tiny book measures 1,8x2,5cm / 0.7"x1" and the tin is just a hair larger. Pretty tiny altogether, I'd say. You can view a video of the book on my Instagram. 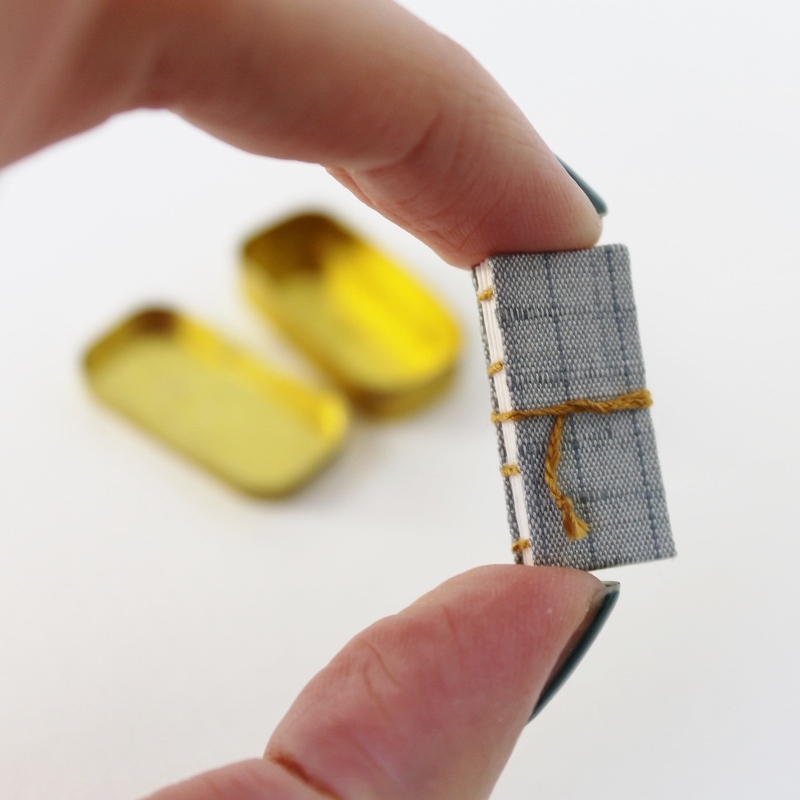 I'll be sharing a few of my favourite tiny books by other artists/bookbinders here once everyone has posted their entries on Instagram.The theme for March is still a mystery to me, but I can promise it will be something really interesting. If you're interested in joining the challenge, you can find out more right here.